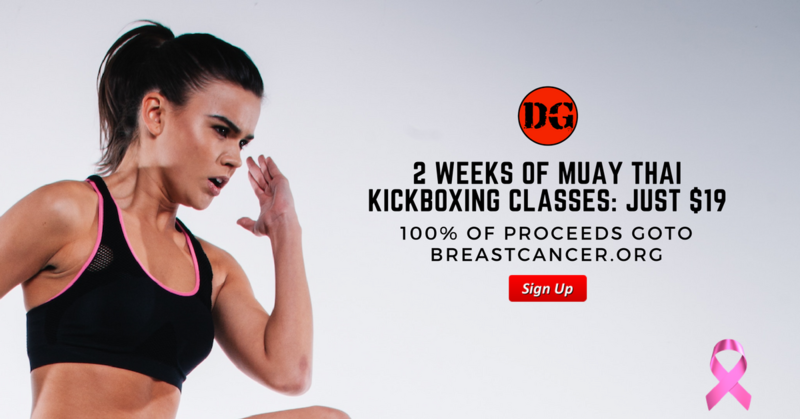 Are you interested in learning Muay Thai Kickboxing and Supporting an important cause? Click the button below to sign up for 2 Weeks of Classes for Just $19. Official Dragon Gym Kickboxing Gloves! PS. Please feel free to share this with someone you think could benefit from Muay Thai Kickboxing Classes. PPS. You can click here to sign up.